Tickets on sale now for the Capital Region's premier event! The deadline for builder registration was Friday, March 1. The Parade of Homes is a highly visible public event with months of pre-event promotion and an onsite presence for both attendees and builder participants. With a range of sponsorship options, there's something for every business and every budget. Click here for more details and the sponsorship reservation form. 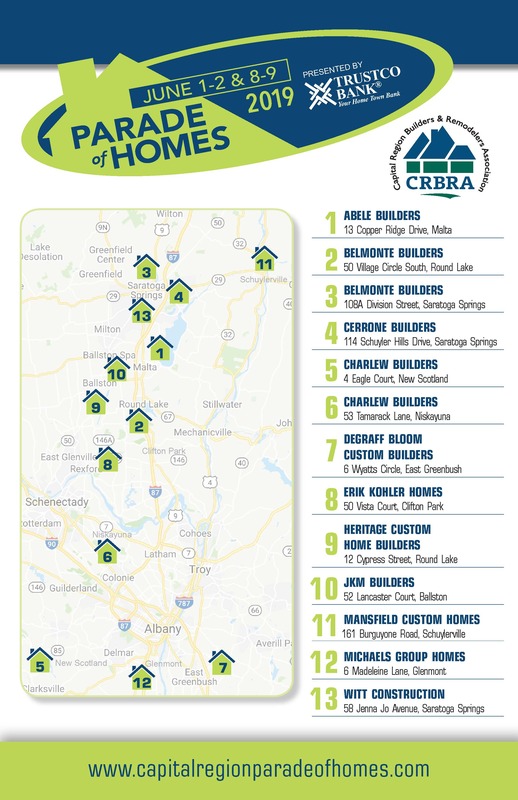 For more information, please contact Parade of Homes Director Mia Barbera at paradeofhomes@crbra.com.